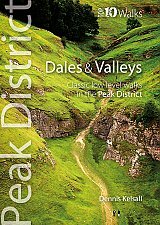 This attractive and cleverly structured guidebook gives walkers the ten finest circular routes in the valleys and dales of the Yorkshire Dales National Park in a popular pocketable format. With clear information, an overview and introduction for each walk, expertly written numbered directions, enhanced Ordnance Survey maps, eye-grabbing panoramic photographs, and interpretation of points of interest along the way, these guides set a new standard in reliability, clarity and ease-of-use. Featured walks include: Smardale, Hell Gill, Sedbergh, Muker, Semerwater, West Burton, Chapel-le-Dale, Malham Moor, Hubberholme and Grassington. Mark Richards is a professional writer of UK outdoor guides and the author of the comprehensive, award-winning Fellranger series of guides to the Lakeland Fells. He is also a leading member of the Outdoor Writers & Photographers Guild.